An NCAA investigator wrote a letter on Nevin Shapiro's behalf before his 2011 sentencing, the Associated Press reported last night. This should feel surprising: The NCAA is nominally devoted to preserving beautiful, ancient Greek ideals: competitive integrity, athletic amateurism, and scholarship, while Nevin Shapiro is a convicted Ponzi schemer who stole tens of millions of dollars from unfortunate investors. But it doesn't surprise us one bit! 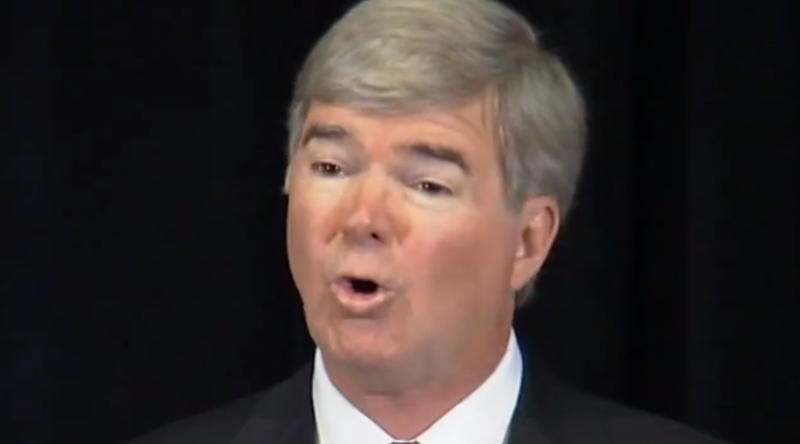 The NCAA decided somewhere along the line to endow itself with police-like regulatory powers. [Director of Enforcement Ameen] Najjar also said that Shapiro assisted the NCAA with investigations involving a number of schools. Najjar did not specify the schools—not even Miami, where Shapiro is the central figure in the scandal that has dogged the Hurricanes' athletic department for at least two years. "Throughout the course of our interactions, it is my belief that Mr. Shapiro possesses a unique depth of knowledge and experience concerning representatives athletics interest ('Boosters'), agents and the provision of extra-benefits to student-athletes," Najjar wrote in the letter. Najjar also told the NCAA that they might be able to put Shapiro to use "as a consultant and/or speaker to educate our membership." Implicit in all of this is the notion that the NCAA's mission compares to, or even trumps, the justice system's. Shapiro needn't do much time: He's helping society by busting poor kids who get cash and cars from admirers! Perform a find-and-replace on Najjar's letter, and it'd look like crooked FBI agents' justifications for keeping Whitey Bulger out of prison. The NCAA believes it should use criminal informants just like bad cops might. Naturally, Najjar's since left the NCAA. That's what happens when you show people more about themselves than they'd like to know.